By now, you’ve heard me wax lyrical on how Batman: Arkham Knight will be one of the best games of 2015, if ever. I’ bias as hell, I’ll admit it but that’s a good thing in my case. 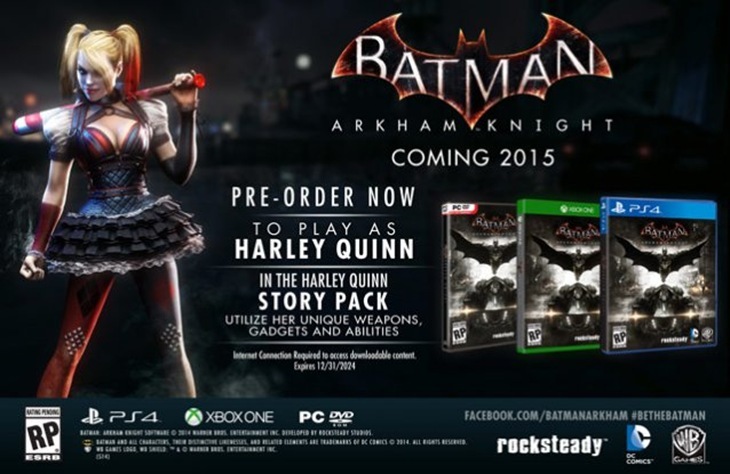 You won’t just get to be the Batman in the final Rocksteady game however. You’ll also get a chance to be the main squeeze of the Joker, Harley Quinn. That image is soooo 2014. 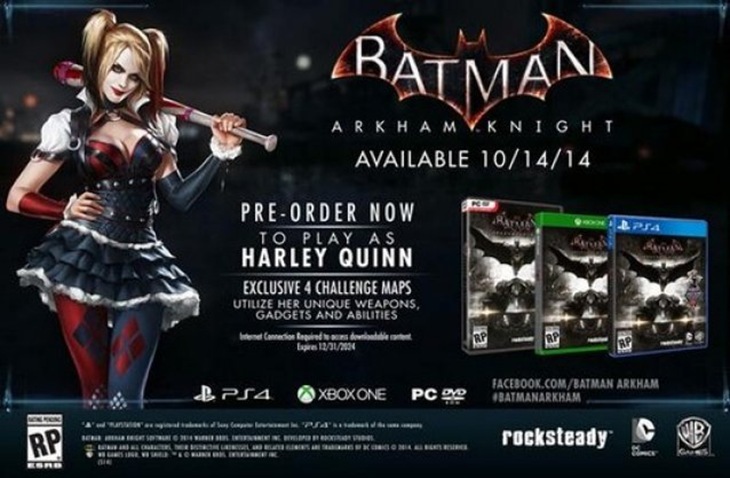 Here’s the new pre-order page picture, which describes the Harleen Quinzell content being augmented with some narrative content instead “the Harley Quinn Story Pack”, that will allow players to “utilize her unique weapons, gadgets and abilities”. So, a story-mode with Harley Quinn in the lead? I have a feeling that Gavin is going to steal this game away from me. This isn’t the first time that an Arkham game has allowed players to be someone other than the caped crusader. Arkham Asylum allowed you to use the Joker in challenge maps, Arkham City has Catwoman, Robin and Nightwing added to the mix while Arkham Origins had the pre-order bonus of allowing you to go take on a hundred goons as the deadly mercenary Deathstroke. 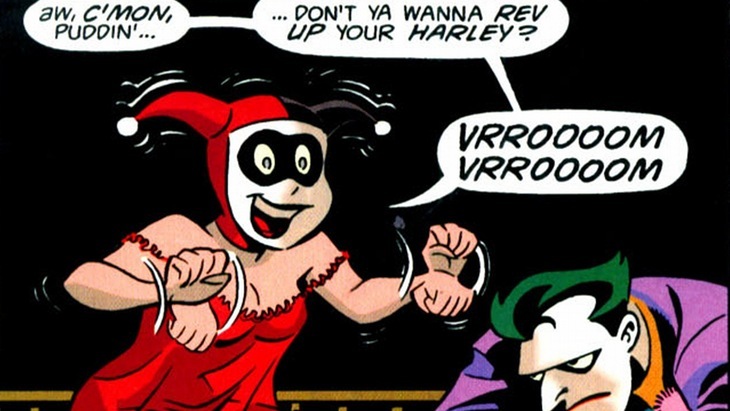 How the Harley Quinn DLC will work is beyond me, but I’m just hoping that it includes the Harleymobile. Previous article Are you older than Tetris?